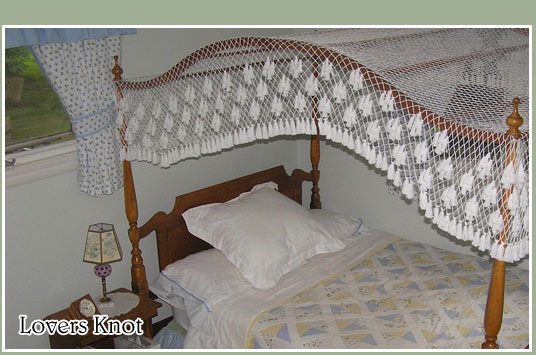 Experience quality and tradition with our hand knotted bedroom canopies. We are sure you will be pleased with our attention to detail and attractive pricing including Free Shipping! We accept VISA, MasterCard, Discover, Amerian Express and Debit Cards. We do require payment at the time of your order. We ship Free USPS. Additional charges will apply for next day or second day shipping methods. Due to high demand please allow 2 to 3 weeks to ship, we will ship sooner if possible. Products are guaranteed. If you are not completely satisfied, return the item in its original condition with 30 days for an exchange or full refund of the purchase price.